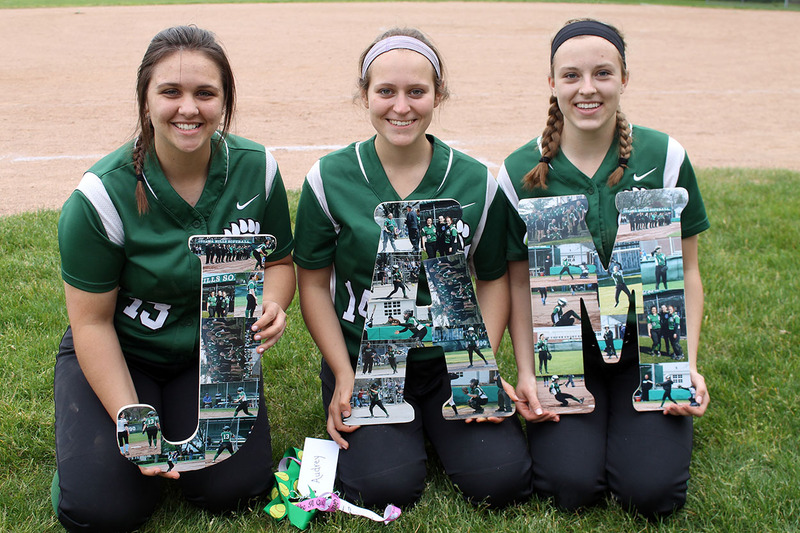 The final game of the season was also Senior Night…the three seniors, along with their parents, were recognized before the last game. 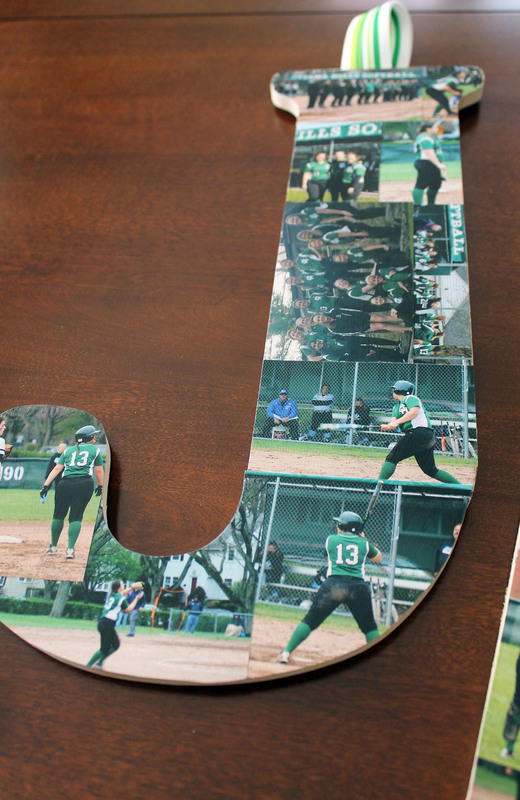 These three girls have played together since 7th grade, and I really wanted to do something special for them to remember their last season together! 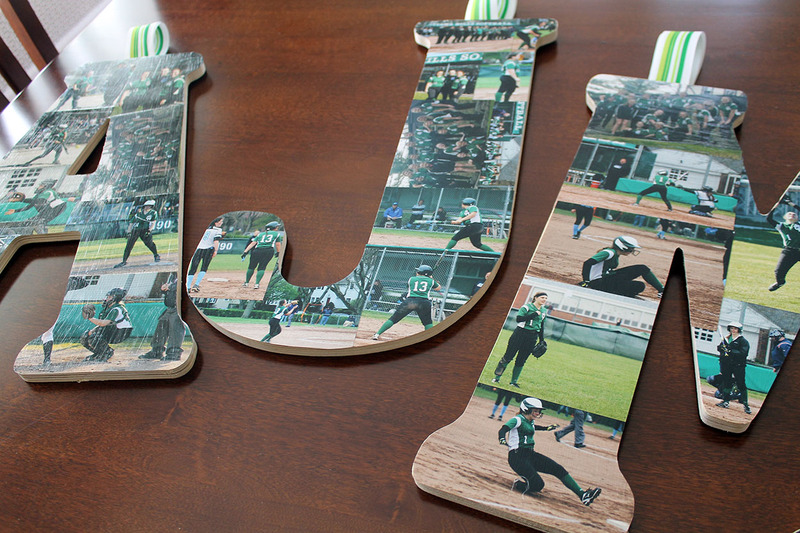 Pictures always make special gifts, and I think these collages with their initials were just perfect! 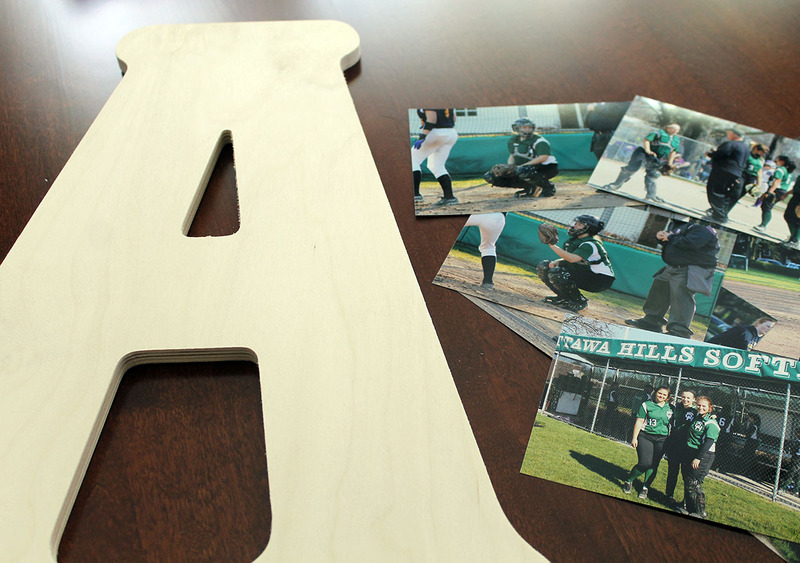 To create these, you will need large plain wood letters, mod podge, and photographs (of course). 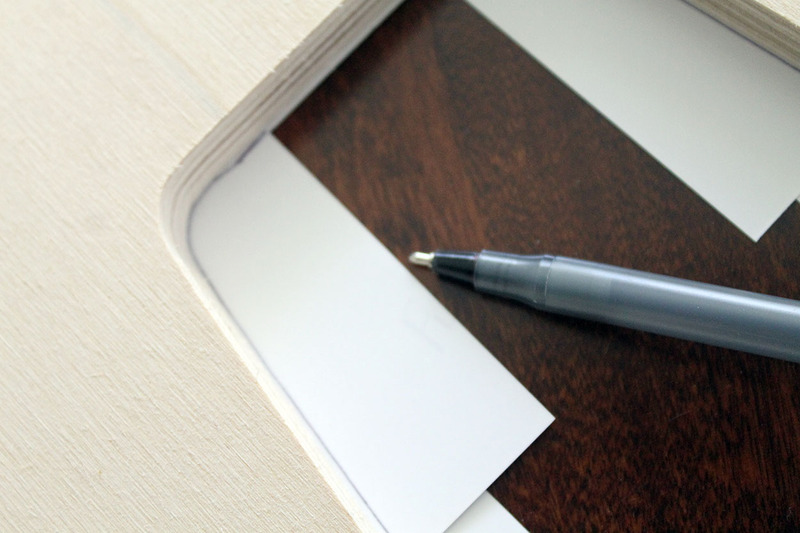 Start by placing the photos on top of the letter. 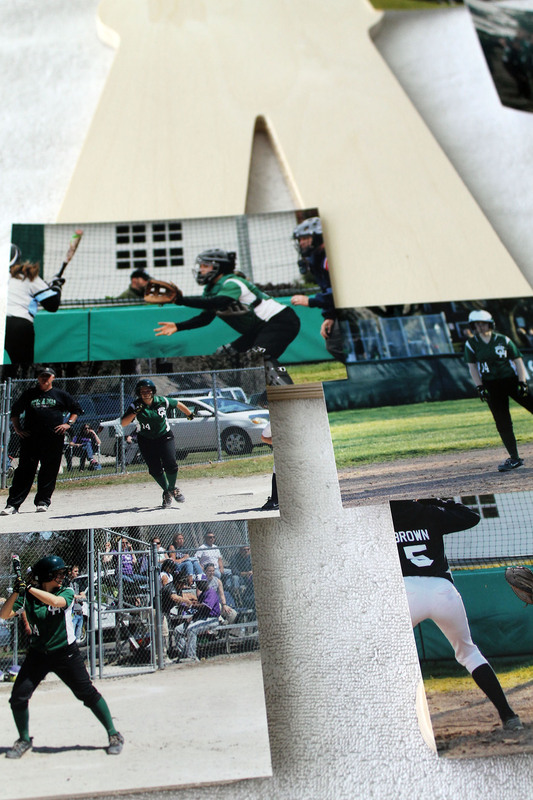 It may take some time to piece them together…you want the photos to overlap, but not cover any important aspect of the picture. 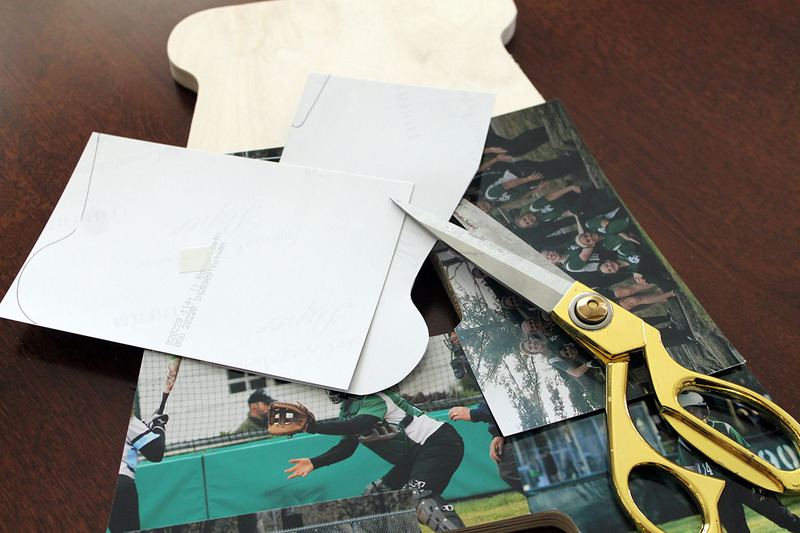 You also need to be aware of any parts of the pictures that would eventually be cut out. 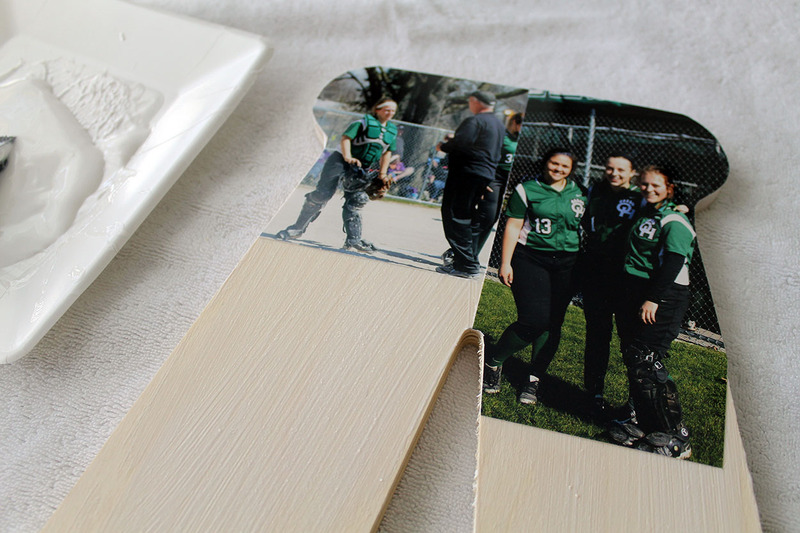 Once the photos are in the position you want, attach a small piece of photo mounting tape on the back to hold them in place. 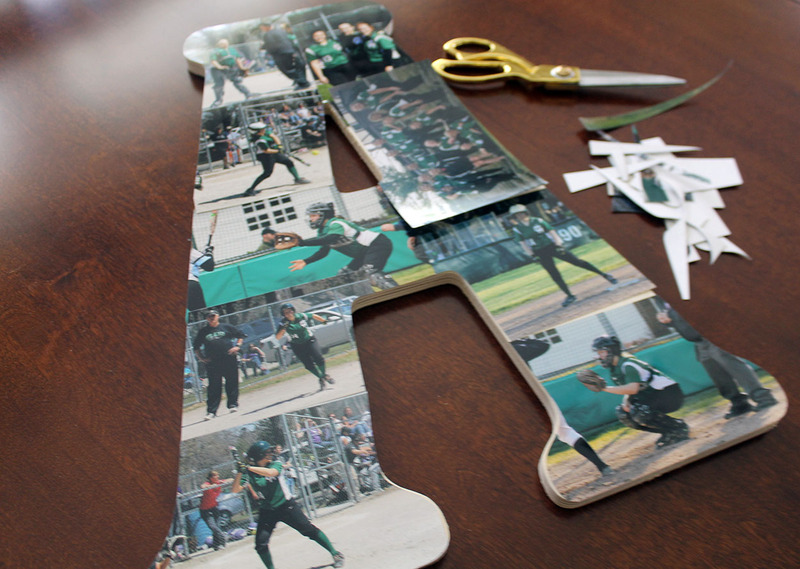 Then, carefully turn the wood letter over so you can trace around the parts of the pictures that are hanging off the edges of the wood initial. 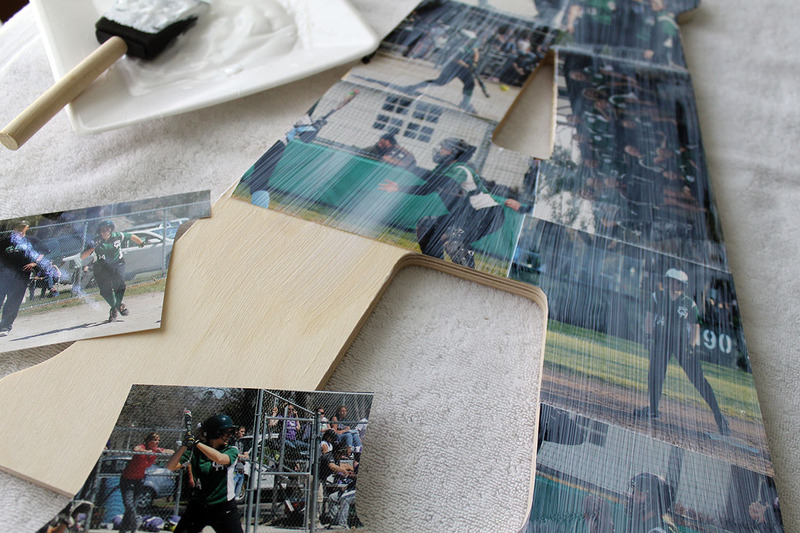 Once the tracing is complete, cut off the extra part of each photograph. 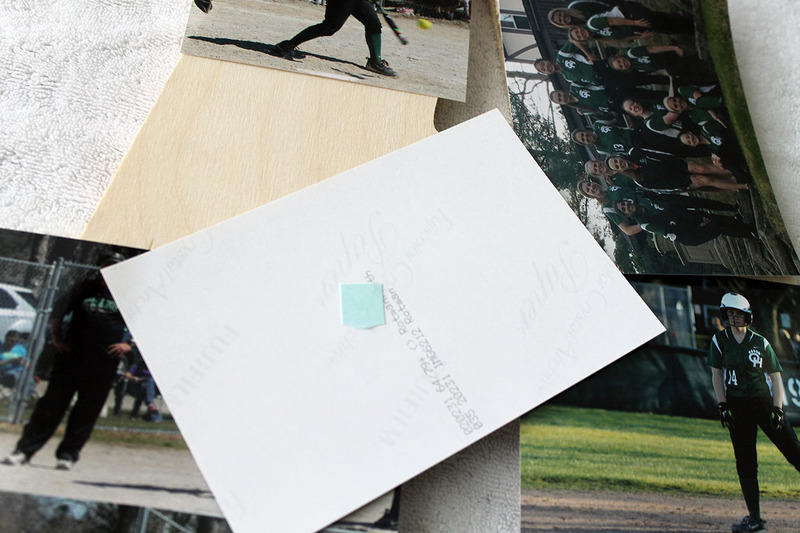 After the cutting, all the photographs should cover the initial without hanging off the edges…now it’s time for the mod podge! 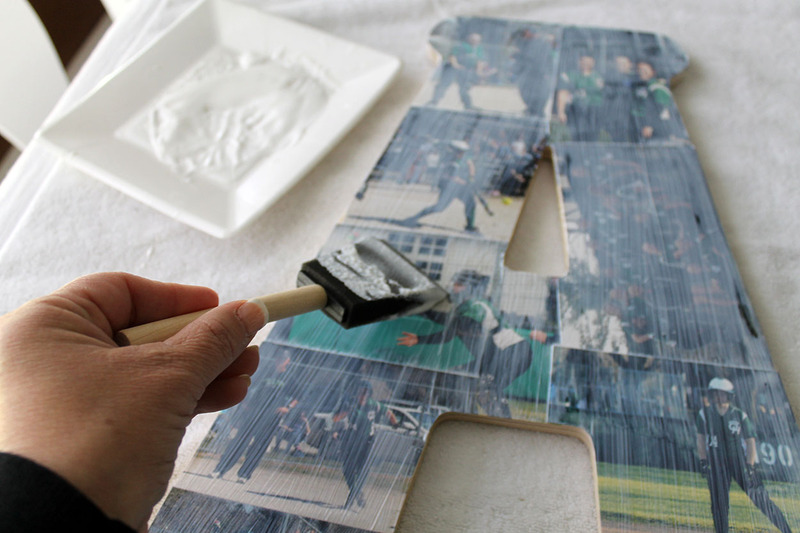 Using a sponge brush, apply the mod podge to the wood letter and then place the photographs on top of it. 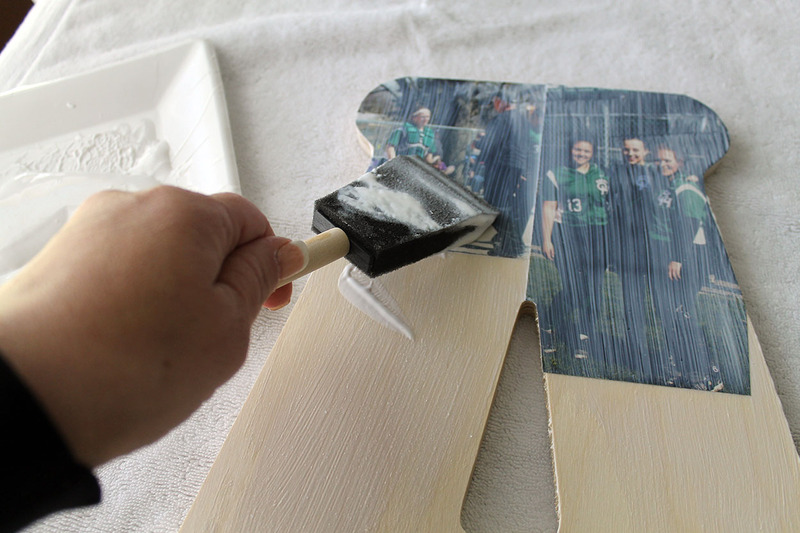 Seal it in place by applying another coat of the mod podge on top of the pictures. 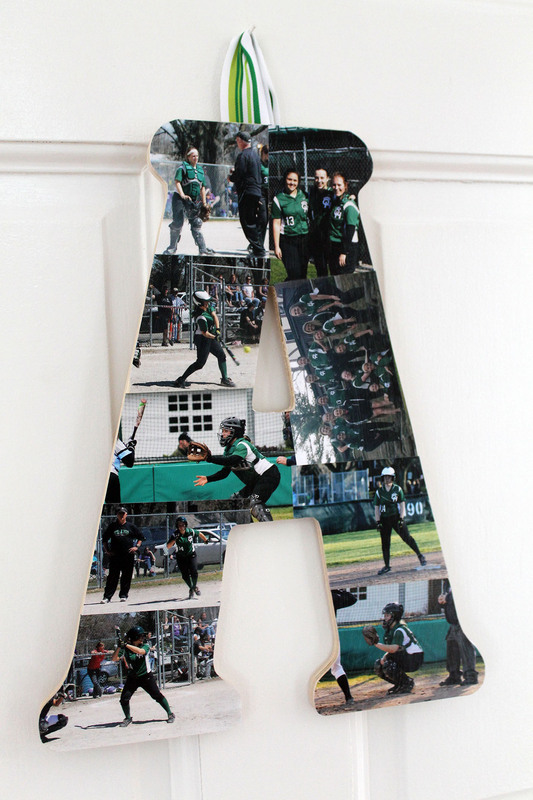 Continue doing this in small sections on the wood initial until all pictures are adhered to it. 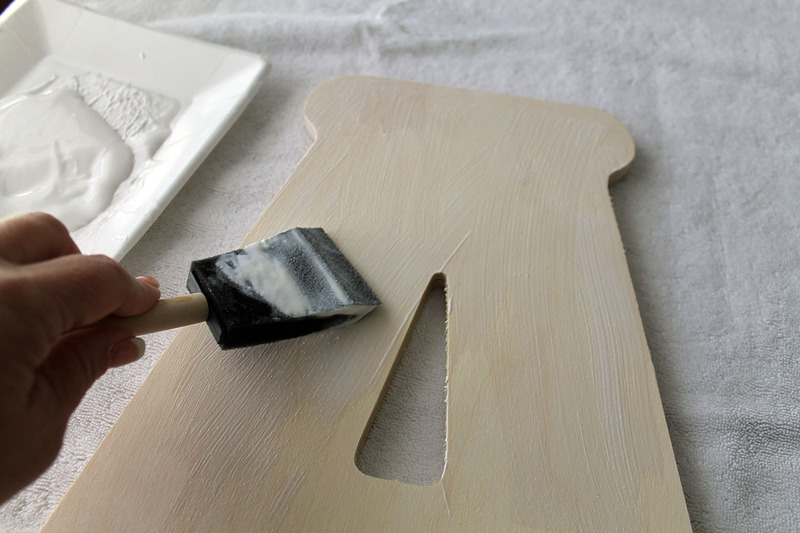 Finally, brush one final coat of mod podge on top to seal it all in place. 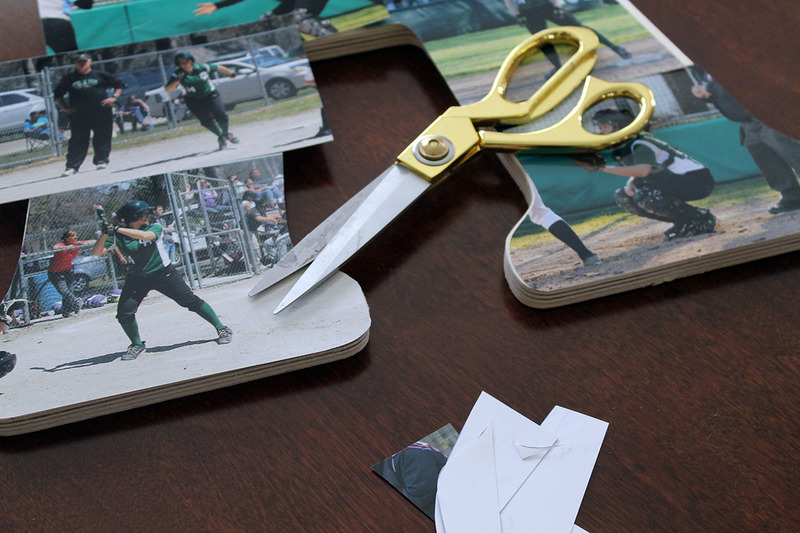 This is optional, but you could attach some ribbon to the back of the initial using hot glue. 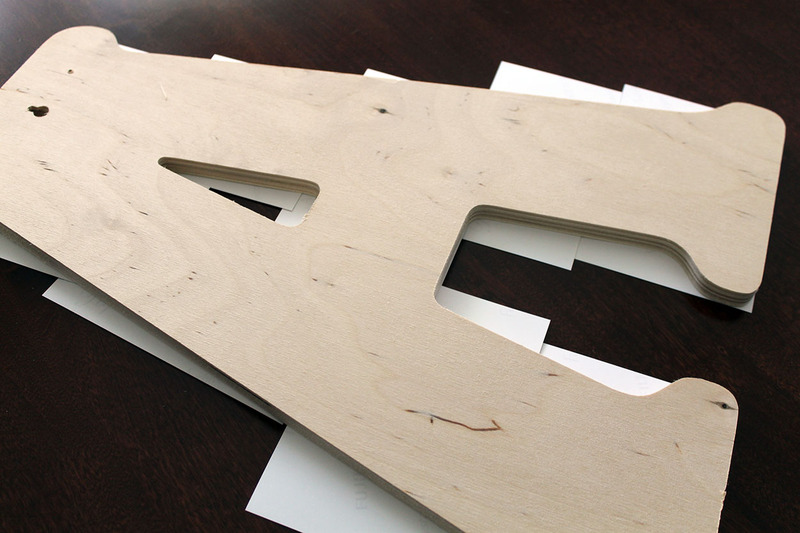 This will create a way to hang the letter, if desired. 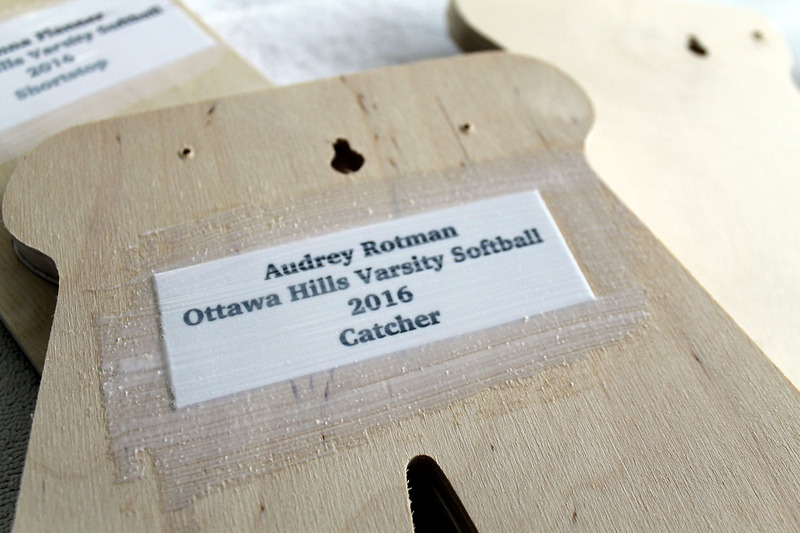 A small sign printed on card stock indicating the player’s name, year, and position played can also be added to the back using the mod podge…a small personal touch! 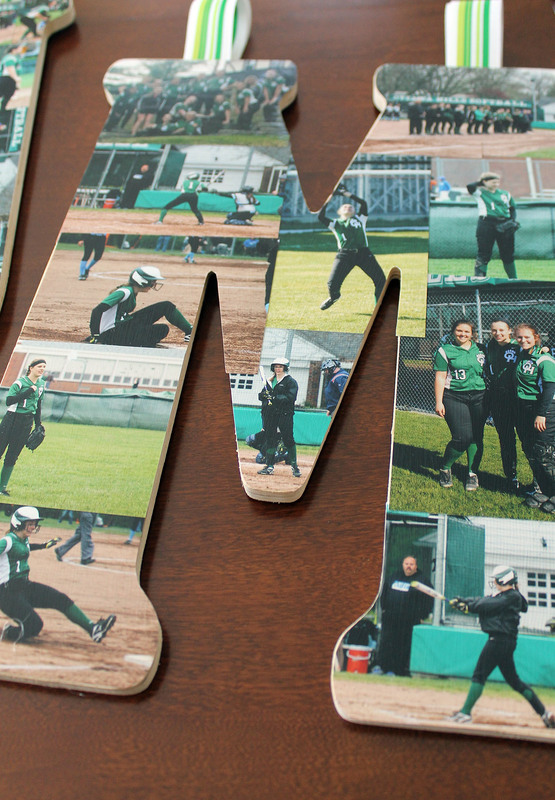 I was so happy with the way these turned out, and even more happy to see how the girls enjoyed the memories of their senior season with their picture collages! There’s still time…and she would love it! Thank you! 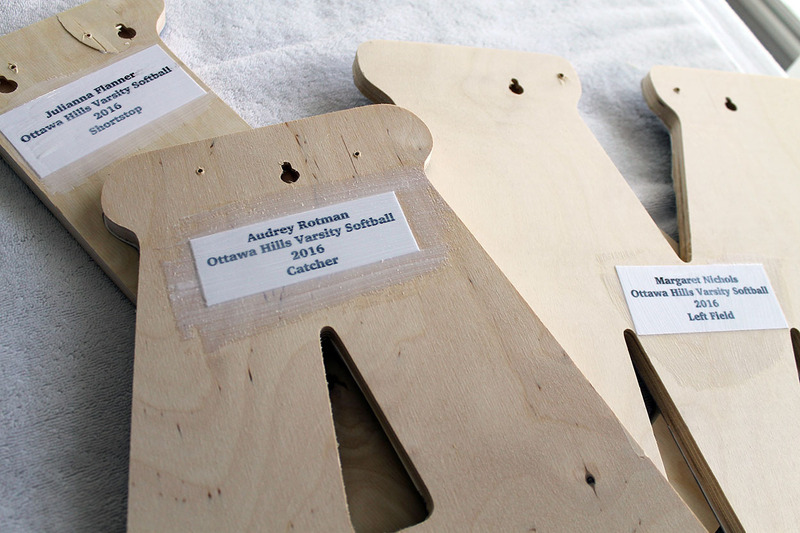 They were fun to create!